We are a non-profit organization that is committed to safe and responsible riding on our trails and environment. 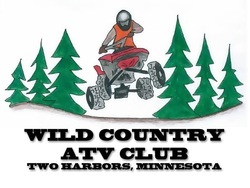 We are involved in ATV safety for youth riders, organized rides around the region and promoting our area to the ATV enthusiast. All of our proceeds will go towards newsletters, club merchandise, trail maintenance costs, events such as bbq’s and group rides. We are involved and up to date on information at the government level as to what is happening with our trail systems and our recreation. As one voice we can make a difference for the future of ATVing !